I've heard that if you can get up without an alarm you are getting enough sleep. We haven't set an alarm in years, but I think I could use an extra hour of sleep every night. Mmmm. That sounds delicious. But maybe Edda's our alarm, so the not setting an alarm is moot - although she's really random, you go to sleep not knowing quite exactly when you'll get up. Even though we never set an alarm and we both are usually ready to go at 6 am, it doesn't mean that we don't procrastinate starting the day. 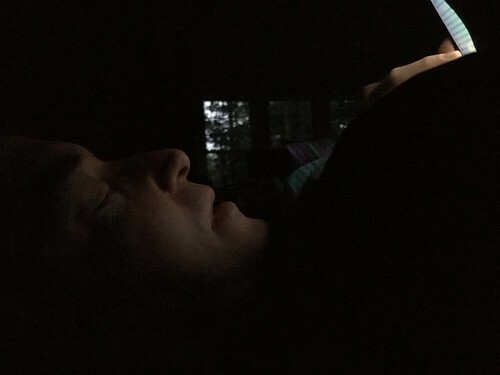 Look - the sun is up, Jeremy's awake but not quite ready to face the day, instead reading random stuff on his phone. Vince is still at the fair. Jeremy worked the noon-10pm shift, putting the adult hour contribution from the Lee/Martin household at 40, five hours over the required contribution level. 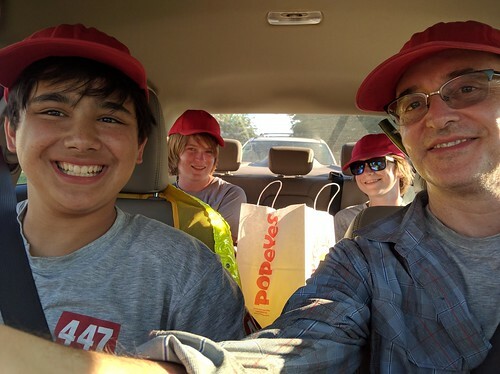 Jeremy is a nicer person than I am and indulged the kids' request to go to Popeye's for dinner. Since the boys were out, the girls went to the mall. Montgomery Mall is where I tried to maximize the fun while minimizing the cost. I have a loose goal of visiting all the kiosks at the food court and not just go to my favorites (cheesesteak one and chik-fil-a). So I tried the Thai place and ordered the smallest meal which was plenty for Edda and me to share. This place tries to maximize the serving size and in doing so has minimized the quality of ingredients. It could have been so good. I'd pay as much as I did pay for half of the amount of food if it was twice as tasty. ($7). 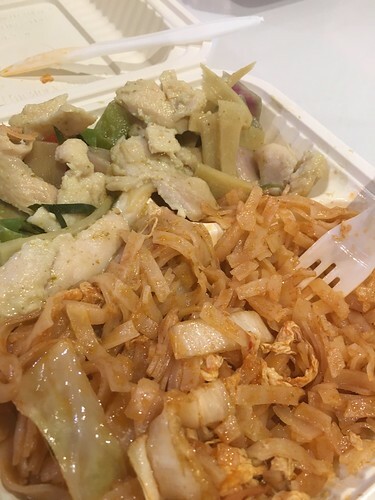 I even spent 50 cents upgrading the starch from rice to pad thai. We ran into a camp counselor (who I did not recognize) at the mall. 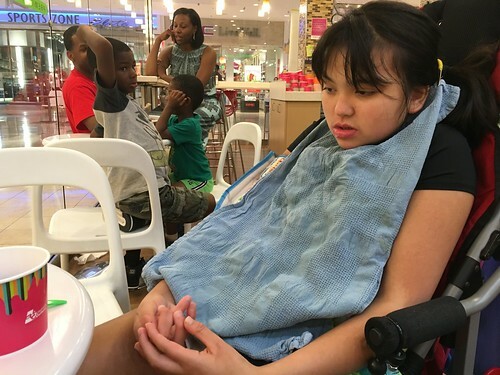 This happens sometimes at Montgomery Mall - a random teenaged girl will come running up to Edda and say "Hi Edda!" and give her a hug or a big smile and proceed to explain to me who she is and how she knows Edda. It's nice for Edda to bump into people she knows and I don't know at the mall. Like we are somehow normal in our capabilities of having friends. I don't often bump into friends at Montgomery Mall, probably demographics. 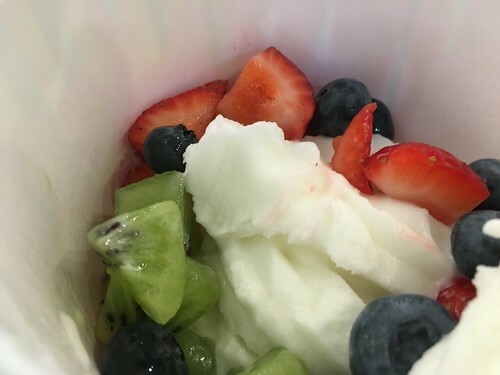 Then we went to the yogurt place where Edda and I split a tart yogurt with fruit.